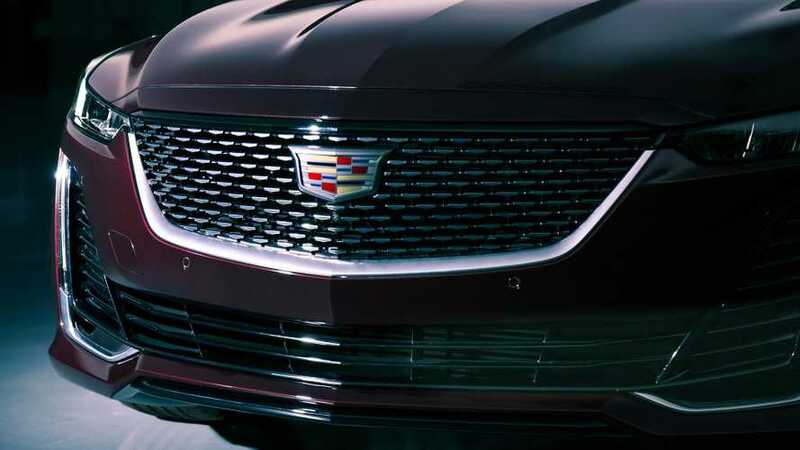 Within just a few hours of the new Cadillac CT5's debut, rumors are already swirling about a high-performance V-badged variant that would sit at the to top of the range. Product marketing director Jason Sledziewski allegedly hinted at the possibility of the more potent model while presenting the CT5 to the motoring media, according to Car and Driver. There are no other details about the CT5-V at this time, but the possibility of the model is hardly a surprise. The CT5 replaces the CTS in Cadillac's lineup. Therefore a CT5-V as a successor to the CTS-V is only natural. Spy shots (above) from October 2018 possibly provide an early look at the CT5-V. The test mule is under the skin of a heavily modified CTS-V. It features extended fenders at both ends and an unpainted rear bumper. 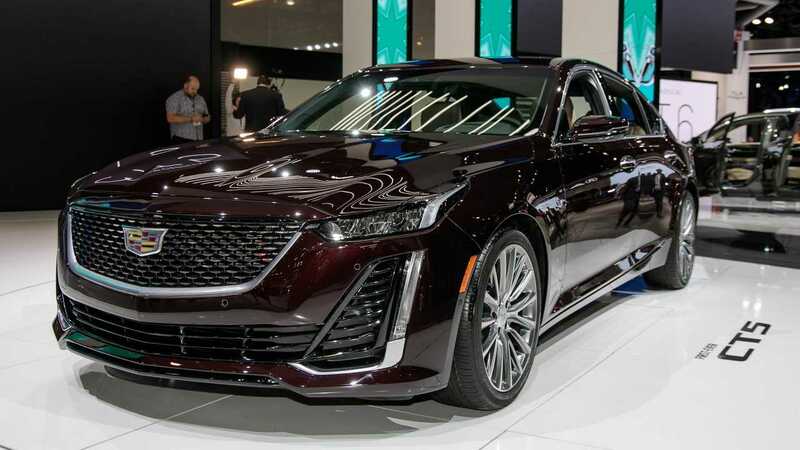 Where the current CTS-V uses a 6.2-liter supercharged V8 making 640 horsepower (477 kilowatts) and 630 pound-feet (855 Newton-meters) of torque, rumors suggest the CT5-V could use a version of Cadillac's 4.2-liter twin-turbo V8 that goes under the brand name Blackwing. 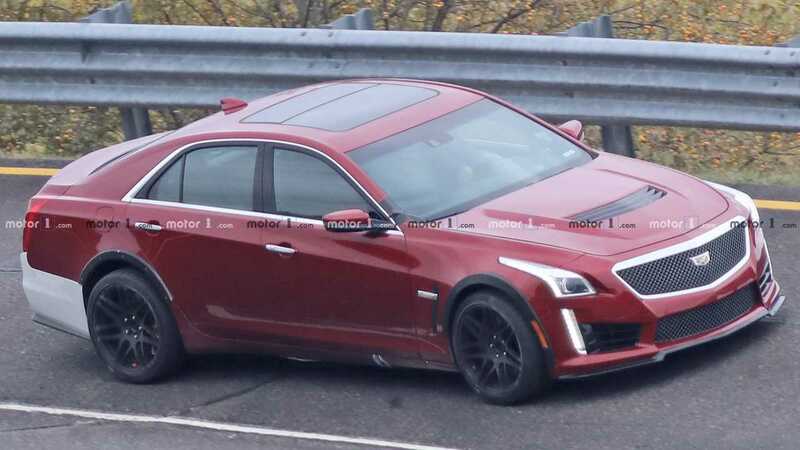 The powerplant makes 550 hp (410 kW) and 627 lb-ft (850 Nm) in the upcoming CT6-V, but the output in the CT5-V would likely be different so as not to compete with its bigger sibling. The standard trims of the CT5 will go on sale this fall, so the V won't arrive until 2020 at the absolute soonest. At launch, the new sedan will be available with a 2.0-liter turbocharged four-cylinder making 237 horsepower (177 kilowatts) and 258 pound-feet (350 Newton-meters) of torque or a 3.0-liter twin-turbo V6 with 335 hp (250 kW) and 400 lb-ft (542 Nm) of torque. Both will come with a 10-speed automatic and a choice of standard rear-wheel drive or optional all-wheel drive.